This weeks Photo Wednesday was taken at Gangnam Subway Station in Seoul. It’s of an interesting sign, which is both funny but also spreads an important message of safety. 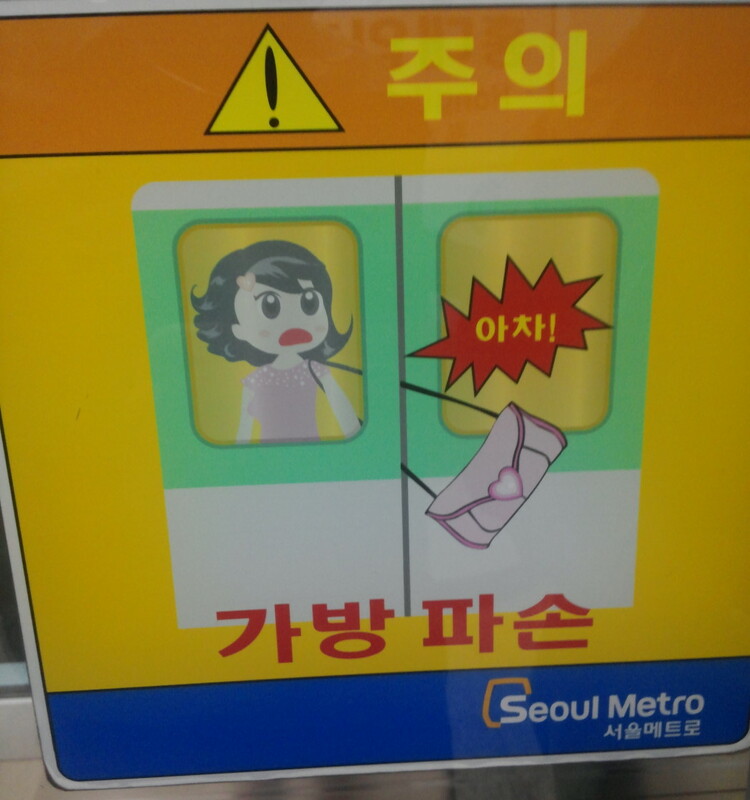 Be careful of the doors and keep your bag close to you. In years of riding on the subway we’ve seen this happen a number of times, so be careful. Last weeks Photo Wednesday “The Han River from the Subway” Please Click Here.